Welcome to our Oil Tank shop. 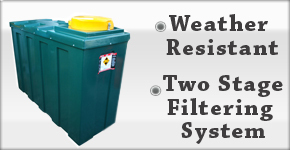 Come and see our wide selection of single skin and bunded oil tanks that are designed for domestic and non-domestic use. 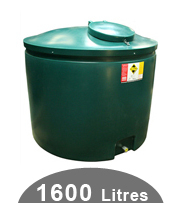 Our tanks range from 710 Litres to 15,000 litre. 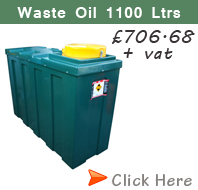 We also have a range of waste oil tanks which can be used for storing waste oil from cars or bikes which are great for mechanics or scrap yards. 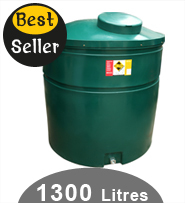 We have an excellent selection of underground oil tanks which are ideal if don't want your oil tank on show. 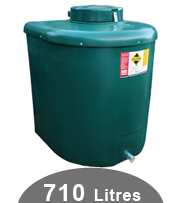 All Ecosure oil tanks are rotationally moulded which provides strength and stability to making them ideal for all surroundings. 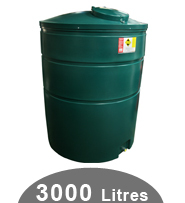 Weather resistant, all Ecosure oil storage tanks are manufactured from high grade polyethylene; they also have high impact strength and the latest UV stabilisation packages. 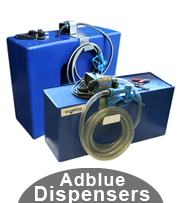 Take a look at Ecosure's range of Adblue Fuel Dispensers. A wide range of sizes, pumps & options. 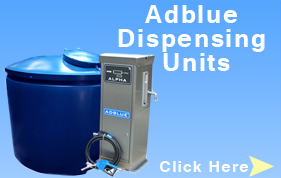 Adblue Dispensing Units see a wide range of sizes. Most of the bunded oil tanks will be delivered on a pallet. 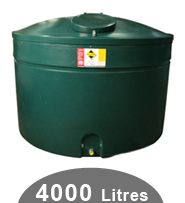 All tanks have a standard UK mainland delivery cost (unless otherwise stated). This cost will increase for deliveries to Scotland and certain postcodes in Wales. 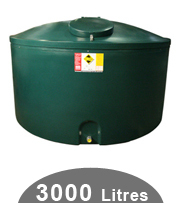 Ecosure tanks has been engineered to exceed the most demanding requirements, including The Control of Pollution (Oil Storage) (England) Regulations 2001 and comparable requirements throughout the British Isles. 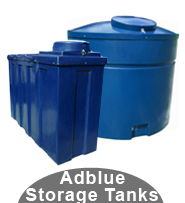 Our oil tanks are made from a seamless one piece mould. Design and manufacture is all done in house to ensure our high standards are met. This also gives us the advantage of being able to offer a next day service if required. 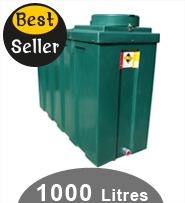 Many properties in UK many not have the room for an aboveground oil tank, so instead why not use an underground oil tank. 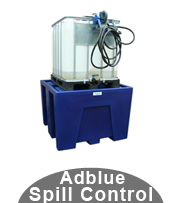 Underground oil tanks have the advantage of holding large volumes of oil without being seen. 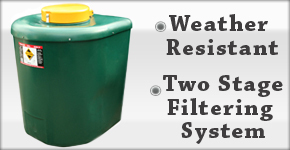 What is a bunded oil tank? This is simply a tank within a tank. The area surrounding the inner tank is called the bund. 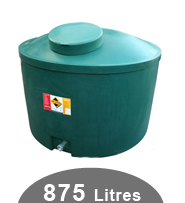 These types of oil storage tanks are ideal for safley store oil. 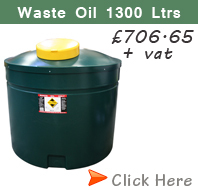 Why do I need a bunded oil tank? How close can I have my tank to my house? 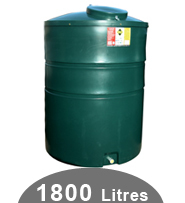 Any oil tank has to be a minimum of 1800mm (1.8meters) away from any type of property. Can I just fit a pump and start dispensing from my oil tank? No. 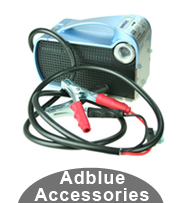 If you need to dispense fuel in to cars, tractors etc, you will need a Fuel Dispenser, where all the fittings (pump, hose) are locked away. What thickness of a concreate base would i need? 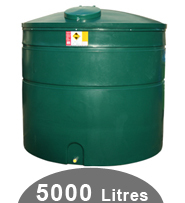 A minmium of 50mm (5cm) would be enough to hold a standard domestic oil tank. 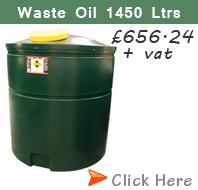 If you are ordering a large oil tank we would recommend at least a 150mm base. What is Qual Oil Pipe? This plastic oil pipe that you can use to feed from the oil tank to your boiler. 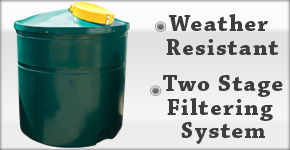 Which is the best value for money oil tanks? 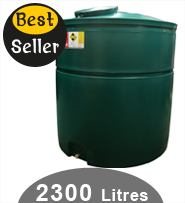 All the Ecosure oil tanks are very competitve on prices and have better delivery service than the other oil tanks. 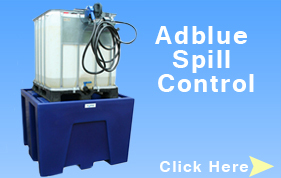 Can my local plumber install my oil tank? Yes providing they are Oftec regiestered. 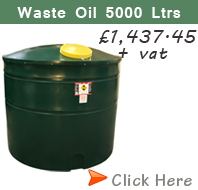 What oils/chemicals can I store in a bunded oil tank? 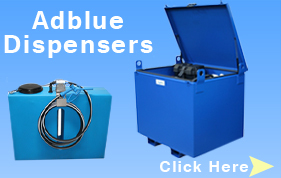 Can I use a bunded oil tank with a hose to dispense fuel? No you must use a fuel dispensers where all the parts are conceiled in one unit. Your oil is a valuable and important, so you want to keep it safe from thieves. 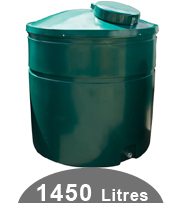 The Ecosure range of bunded tanks have a lockable lid to stop anyone from sucking the oil from your tank.